The phrase “The more the better” is a popular notion in the history of mankind, and particularly of the business world. Sometimes, less is more and hence less can indeed be better. Such is the case of micro-influencers, those caught in the huge existential gap between a normal citizen and a top-shot influencer or an A-list celebrity. While their reach pales in comparison to the stars, they have recently become the go-to options for marketers when it comes to influencer marketing. Firstly, let’s address the paramount question of who are actually considered micro-influencers. The birth of social media has gifted many individuals platforms to showcase their talents and voice their opinions. As time passes, those who managed to strike a chord with a significant number of users would amass a pool of followers. While many may be familiar with top social influencers such as the Logan brothers and Jenna Marbles, a new wave is rising in the influencer industry. They are not A-listers and may not have millions of followers but within their circle of influence, their voices carry very significant weight. The word ‘micro’, like any other adjectives, is highly subjective. Although different businesses and agencies have their own interpretation of what qualifies one as a micro-influencer, the general consensus is someone with 10,000 followers – 100,000 followers on a single platform. Some accounts have the most Twitter followers or highest Facebook page Likes in your industry and still be considered a micro-influencer though. Parallel to the situation of publishing houses’ advertising rate, the smaller the reach of the influencer, the less costly they are to engage. This is a great news for small and medium-sized enterprises with tighter marketing and public relations budgets. However, the relatively more affordable price tag is not the only reason marketers are flooding the inbox of these rising influencers with invites and proposals. 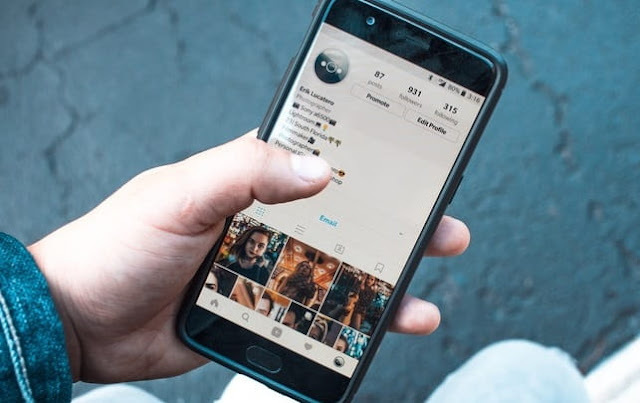 According to a widely-publicized research by Markerly, the engagement rate and the number of followers of social media influencers are inversely related beyond the 1000 followers threshold on Instagram and Facebook, an effect similar to the law of diminishing returns. As the follower base grows beyond 1000 followers, the engagement figures relative to the size of the follower base falls. The findings by Markerly is also further supported by statistics from Hello Society or MyFrugalBusiness.com on the engagement level of micro-influencers. The driving forces behind these impressive figures: niche and authenticity. Despite the smaller number of followings, what sets a micro-influencer apart is a relatively more defined audience. Their contents are centered on single or a combination of interests such as fashion, sports and travel. Aside from being ‘experts’ in their field of interests, successful micro-influencers also tend to take independent stances instead of acting purely as corporate mouthpieces, making them generally, or 92 percent according to MuseFind, more trusted sources compared to traditional marketing channels in the age of Adblockers. But in doing so you give up a small modicum of control, which can be unappealing to some businesses. But if you need to have absolute control over every single detail of a micro-influencer’s post, you probably should not be engaging one in the first place. To engage micro-influencers, first identify them. The most obvious ways to do so is through the brand’s list of existing followers or through relevant hashtags. After identification, the next step is to assess if the social media influencer’s image and follower base match with the brand’s positioning and target market. As they usually strive on a strong sense of individuality and a defined scope of influence, pushing a product that is not of interest to the influencers and irrelevant or inaccessible to their followers would only be a waste of resources. When a match is found, drop them a message with your invitation or a proposal. If the process seems too tedious, a PR agency with an established network of contacts should be able to get the work done. Focus on building a long-term working relationship that would benefit both the brand and the influencer. Strong brand affinity is a better currency than a fat pay cheque! Nonetheless, while it may seem extremely appealing to work with micro-influencers, one must never forget that other forms of communication are just as important. Micro-influencers and influencer marketing are important but without a holistic marketing plan to coordinate and integrate different marketing and communication channels, the outcomes will always be confined to the number of likes and comments. Nothing more.